Wallpaper liner can be very useful for walls that are heavily textured, have panels or cinder blocks. 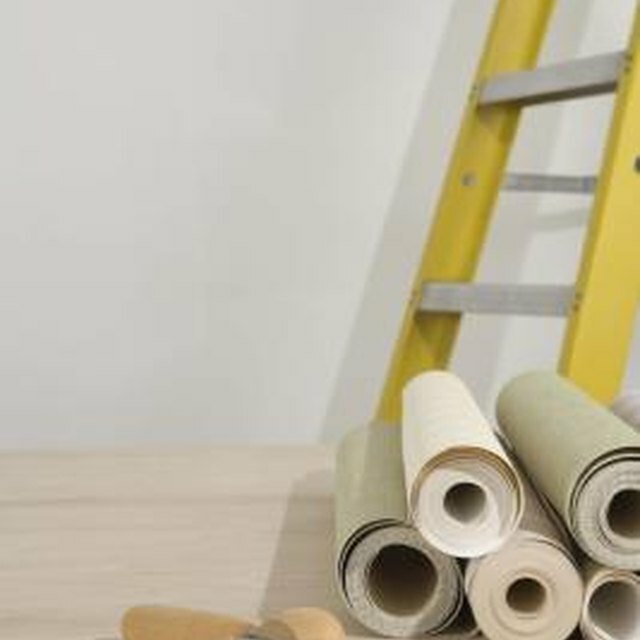 The wallpaper liner is heavy enough so that it will hide any flaw that a wall may have so that when the actual wallpaper is laid, it will look smooth and even. Wallpaper liner can also be painted to look like a natural textured wall. Laying wallpaper liner is not difficult, just time consuming. So when planning your day around hanging wallpaper liner, know that it can take some time, especially if you are doing multiple walls. Prepare walls by scrubbing them clean using a strong ammonia and a cleaning sponge. You want no dirt or grime left behind since this can affect how well the adhesive glue will stick to your walls. Dry walls completely. Remove all electrical plates and light switch covers. If possible, turn off power to outlets for safety. Measure wall from corner to corner, going in a horizontal direction. Wallpaper liner is hung horizontally whereas wallpaper is hung vertically. Cut paper according to measurement. Lay wallpaper liner on a clean solid surface, preferably as close to the wall that you will be lining as possible. Place the liner so that the inside of the roll is facing up. Using a 2-inch crafters foam brush, apply the glue in a circular motion so that it covers all the liner. Carefully pick up the liner by the corners. It would be easier to handle the liner if you have an extra pair of hands (in fact, it is almost necessary). Stick liner to the upper left corner first. Make sure that the liner is as even with the top of the wall as possible. Pull the liner as tight as possible to avoid grooves and creases. Run your smoothing brush over the liner to help secure it to the wall and to smooth out all creases. Repeat hanging process until wall is complete. Let the wallpaper liner dry according to instructions before painting it or wallpapering over it. Walls that have windows should be measured first and then the liner should be hung from the window out.